SeaWorld Orlando Quick Queue Ticket price is in addition to park admission, a separate entrance ticket to SeaWorld will still be required. Park admission is not included and is required. 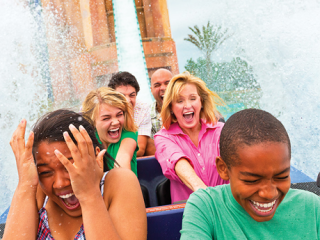 The SeaWorld Orlando Quick Queue Ticket allows unlimited front of the line access on one visit date at Mako, Manta, Kraken, Antarctica: Empire of the Penguin, Journey to Atlantis, TurtleTrek and Wild Arctic. Ride height and safety restrictions apply.